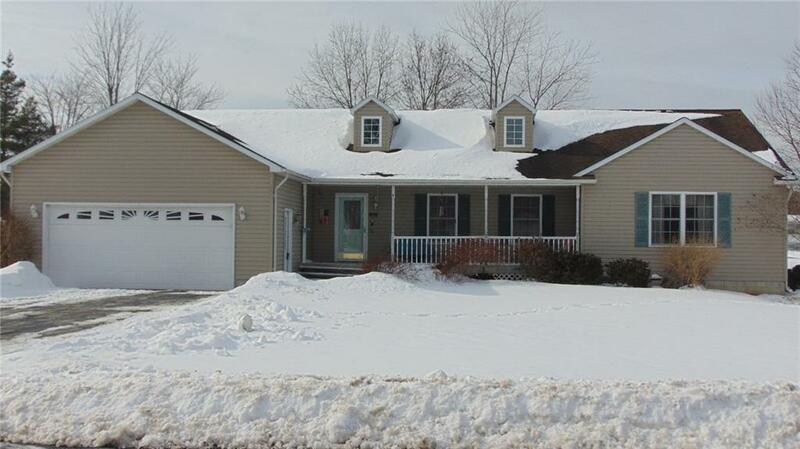 4 Mackenzie Drive Seneca Falls, NY. | MLS# R1171153 | Largest Real Estate Sales and Property Management Company in The Finger Lakes and WNY. Charming ranch home, built in 2001 is in excellent cul-de-sac location. Three large bedrooms with closets galore. Master bedroom offers full bath, walk-in closet AND set of his/her closets. First floor laundry/mud room off garage. Easily finished basement would make for great "man cave" or family room. 10x16 Rear deck makes for a great summer entertaining. 10x12 shed for additional storage. This home won't last long. Call today for further details or to schedule your private showing.